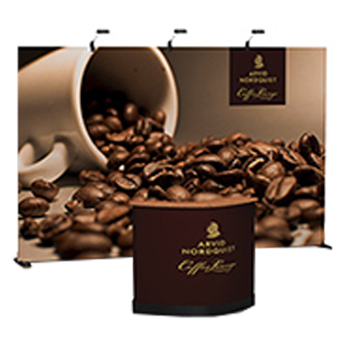 We offer a number of branded event displays for corporate and non-trade show events, including tents, backdrops, banner stands, table covers or single-time use items to complete your custom look! Contact us today so that we can help you make a festival out of your event! Step and repeat backdrops allow you to brand every aspect of your event while creating a photo opportunity or thanking sponsors. 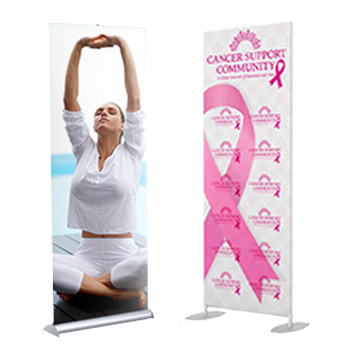 Retractable, roll-up and hanging banners make your life easier because of their simple cost-effective setup and dismantling. 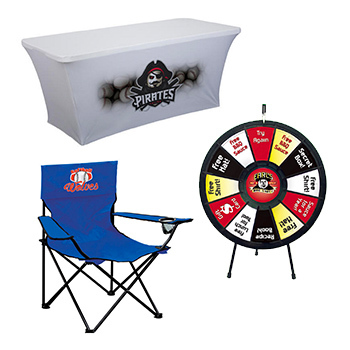 Customize table covers, runners, chair covers and other branded items enhance your event’s look.